If you’re a craft beer lover like so many us here in the Bethlehem, PA area then you don’t want to miss out on Lehigh Valley Beer Week. The long-anticipated week will be taking place from February 15th through the 22nd of 2015. Restaurants, pubs and breweries from in and around Allentown, Bethlehem and Easton collaborate in bringing the many Beer Week participants a truly outstanding experience that will both excite and challenge taste buds. If you’re a beer enthusiast than you may consider visiting the area for all or part of the week for a truly exceptional Pennsylvania attraction. 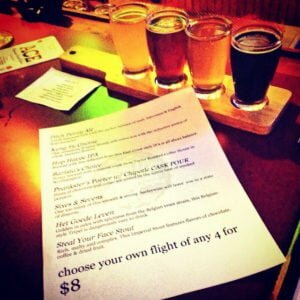 Lehigh Valley Beer Week got started back in 2013 when Jesse Alberston, general manager of Fegley’s Brew Works wanted to bring the success of Philly Beer Week to their significantly smaller town of Bethlehem, PA. He began meeting with local beer folks to launch the first every Lehigh Valley Beer Week with 30 local participating companies who offered their time and resources for pub takeovers, brew tours and tasting, dinners, and rare beer releases among many other exiting beer events. This year you can look forward to a similarly unifying experience among fellow lovers around the exuberant culture of beer. Here’s a schedule of some of the things happening throughout the third annual Lehigh Valley Beer Week. Sunday February 16th – Ribbon Cutting Ceremony and Official Tapping of LVBW2, the offical Lehigh Valley Beer Week brew. Monday February 17th – Pits n’ Purls, a knitting circle with beer! Wednesday, February 19th – Trivia: Are you Smarter Than a Beer Rep? Friday, February 21 – Berliner Weiss RESERVE RELEASE, a night of rarities. You don’t want to miss this great annual event that is becoming a staple in eastern Pennsylvania. It is a great chance to test your taste buds, get to know some great beverage connoiseurs and check out some of the fine local establishments. There are numerous participating establichesments that you definitely want to visit in this week of beer action. Sockertown Beverage will be a great spot to pick up a case of craft beer for any after party scene you may be attending, with great local varieties. The Trapp Door Gastropub is a microbrewery that is worth checking out for beer, food and music. If you want to get your own beer kit then check out Keystone Homebrew Supply! The Lehigh Valley Beer Week is definitely something worth coming to town for. Guests will experience the diverse culture of the area, as well as broaden their experience and knowledge of beer. We would love to host you here at Sayre Mansion! Located in the heart of Bethlehem, PA our accomodations are perfect for anyone here to enjoy the local festivities.